July 2016 – SurfWatch Labs, Inc. When putting together our recent Mid-Year 2016 Cyber Risk Report, the SurfWatch Labs team began by trying to answer one crucial question: with numerous cybercrime events across thousands of organizations this year, is there a central theme that emerges from all of that data? In 2014, the data was dominated by a seemingly endless string of point-of-sale breaches. In 2015, the data highlighted a shift towards stolen personal information and more effective ways for cybercriminals to monetize that information. In 2016, the data so far showcases how cybercrime effects often spread beyond the walls of the victim organization. In fact, the number of cybercrime targets tied to “third-party” tags spiked the month before we published our report. As we noted in our previous blog, many of these incidents were connected to previous data breaches and the tactic of “credential stuffing” — where automated tools are used to exploit large batches of known user credentials to discover new accounts to take over. SurfWatch Labs collected data on more industry targets tied to “third-party” data breaches in June than any other month so far in 2016. On Tuesday another company was added to the growing list of third-party victims after its customer data was discovered being sold on the dark web. This time it was UK telecommunications company O2. Once again, the incident was attributed to credential stuffing. That XSplit breach occurred in November 2013 and affected 2,983,472 accounts, according to Have I Been Pwned? The breach led to names, email addresses, usernames and hashed passwords being compromised. That batch of three-year old credentials appears to be the cause of the current breach of O2 accounts — as malicious actors leveraged that old information in order to gain even more personal information on the victims. In addition to names, email addresses and passwords, the O2 accounts for sale on the dark web include users’ phone numbers and dates of birth. This is a similar scenario to what happened at LinkedIn, the most discussed company related to cybercrime so far this year. A 2012 data breach exposed more than 100 million user credentials. Over the past few months we’ve seen a variety of companies force password resets or otherwise report data theft due to those four-year-old credentials still being reused by customers or employees. 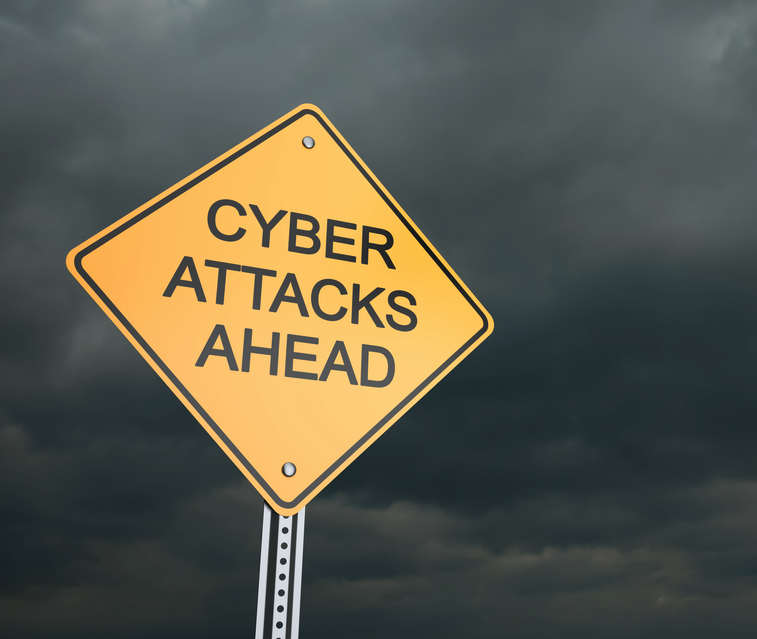 In short, old data breaches are leading to a surge of fresh attacks. However, credential reuse isn’t the only concrete example of the ripple effect of cybercrime, although it certainly is a major issue. This year has also seen more traditional incidents of supply chain cybercrime — where one partner or vendor is exploited to compromise another organization. In fact, SurfWatch Labs has collected data on “third-party” cybercrime impacting dozens of different industry groups so far in 2016. While many industry groups have been impacted by “third-parties” this year, Software and IT Services and Consulting are the top trending groups in SurfWatch Labs’ data. For example, in June we wrote about several healthcare organizations that were victimized by an actor going by the name “TheDarkOverlord,” who was attempting to sell data stolen from healthcare databases on the dark web. This week two of those healthcare organizations publicly confirmed they were victims. As databreaches.net noted, both cited third-parties as a source of the compromise in their repsective statements. Various agencies and government groups are taking notice of the trend. The Federal Energy Regulatory Commission recently proposed revisions to the critical infrastructure protection (CIP) Reliability Standards, writing in a press release that “recent malware campaigns targeting supply chain vendors highlight a gap in protection under the [current] CIP.” In addition, the new guidelines from the automotive industry’s ISAC call for more transparent supply chains and increased involvement with third-party researchers. Lastly, Air Force chief information officer Lt. Gen. William Bender noted at a recent forum that the supply chain remains a concern that can span across many different companies. “It’s not just primary vendors, it’s secondary, tertiary and even further down,” he said. The popular Pokemon Go was this week’s top trending cybercrime target following several incidents including DDoS attacks that disrupted service. DDoS attacks against the U.S. Congress, Philippines Government and WikiLeaks also made news. Data breach announcements include more than 130 stores being impacted by Cici’s Pizza’s point-of-sale breach, Asiana Airlines having 47,000 documents containing customer information stolen, and 2 million users being impacted by a hack at Ubuntu Forums. On the advisory front, SurfWatch Labs released its Mid-Year 2016 Cyber Trends report, Adobe Flash is back in the news, a Stagefright-like vulnerability is affecting Apple devices, and legitimate remote administration software is being used to spread banking malware. The GOP led the way on the legal side of cybercrime as the party unveiled its official platform, including cyber. Oregon Health & Science University was fined $2.7 million. The Department of Commerce will soon being accepting self-certifications for the EU-U.S. Privacy Shield. The St. Louis Cardinals hacking case wrapped up with a 46-month prison sentence. The alleged operator of Kickass Torrents was also arrested this week. Lastly, Pokemon Go is leading many people to get hurt in strange ways. It should come as no surprise, but data breaches are costly for organizations. Each stolen record containing sensitive or confidential information costs an organization an average of $158, according to the 2016 Ponemon Cost of Data Breach Study released last month. That price more than doubles – to $355 – when looking at a highly regulated industry such as healthcare. Those costs add up. The final tally for an average breach is now a whopping $4 million. That’s up from the $3.79 million last year and a 29 percent in total costs since 2013. Clearly, data breaches have a significant impact on business. In fact, the biggest financial consequence often comes in the form of lost customers, according to Ponemon. The findings confirm what others surveys have recently reported: consumers are increasingly unforgiving when it comes to data breaches, particularly younger generations. A FICO survey found that 29 percent of millennials will close all accounts with a bank after a fraud incident. Not only will they take away their own business, a significant percentage will actively campaign against others using the bank. A quarter will turn to social media with negative posts, and more than a fifth will actively discourage their friends families from using the services. Can the C-Suite Make a Difference? It’s not all bad news when it comes to cybercrime-related research though. In fact, The Economist Intelligence Unit recently found that certain types of organizations are having at least some success when it comes to fighting against the tidal wave of cyber-attacks. Making cybersecurity a priority at the top of an organization can have a significant impact on cyber risk. A proactive strategy backed by an engaged C-suite and board of directors reduced the growth of cyber-attacks and breaches by 53% over comparable firms. This includes a 60% slower growth in hacking, a 47% slower growth in ransomware, and a 40% slower growth in malware attacks than their less successful counterparts. Successful firms were also 56% more likely to maintain a standing board committee on cybersecurity. Unfortunately, many organizations are either overwhelmed with low-level data and tasks, or they are unable to clearly articulate relevant threats to those executives. This leaves them more vulnerable to the various cyber threats facing their organizations — and the potential costs and other fallout associated with those incidents. 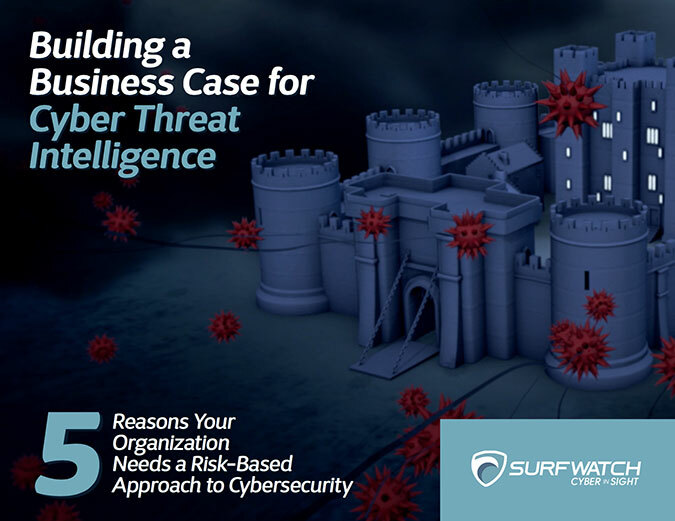 That’s why it’s crucial that those in the C-suite and on the board of directors have strategic threat intelligence — including dark web data on the cybercriminals themselves — provided in a clear, concise and ongoing manner. 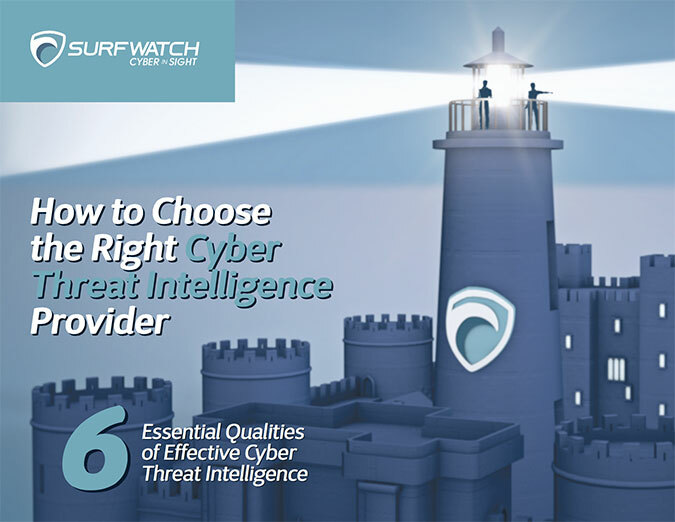 It is possible to stem the tide of cyber-attacks with a combination of the proper leadership, expertise and tools, but all too often those organizations are operating without a crucial piece of the puzzle — the high-level threat intelligence to help guide those decisions. This is a crucial problem as security experts continue to hammer home the point that cybersecurity is no longer an IT problem, but a business one. Cybersecurity employees understanding business concerns and business executives understanding cybersecurity concerns isn’t just an aspiration, it’s a necessity for properly managing cyber risk. That collaboration and understanding is at the heart of effective cyber threat intelligence. Effective threat intelligence empowers those in the C-suite and board of directors with relevant and easy-to-comprehend information about the most important cyber threats impacting their business, their competitors and their supply chain. Effective threat intelligence also serves as a guidepost for those in IT to ensure that tactical defenses and resources are aligned with the most pressing business concerns. In short, threat intelligence is a key component in getting away from the never-ending game of whackamole that results from blindly chasing down the latest headline-grabbing cyber threats and instead operating with a more thoughtful, harmonious and strategic approach. It’s applying the same combination of technical analysis and business insight that are commonplace in other key areas of the organization in order to achieve the biggest return on your cybersecurity investment. It’s no wonder then that those organizations are seeing the best results when it comes to reducing their overall cyber risk.